At Mako Steel, we believe our success can be attributed to one key element: the relationships we build with our clients. We go to great lengths to make sure we treat every customer and subcontractor as we would want to be treated. Perhaps, that’s why more than 70% of our business comes from repeat customers and their referrals. Experts in Self Storage Construction. No other Self Storage Builder can match our strong, forward thinking and knowledgeable staff. 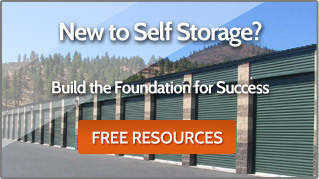 Proven Self Storage Building Products. Superior steel products with good prices, longevity, and outstanding warranties. Experienced Steel Building Supplier. With more than 20 years of experience in metal construction, we know how to engineer any self storage project to increase your ROI. The Best Customer Service in the Business. Every employee has a solid commitment to excellent customer service. Efficient, Quick Turnarounds and Deliveries. Shipping locations throughout the country, trained and certified building crews and pre-engineered building components get you renting sooner. Strategically Located. Shipping locations on both the east and west coasts for national coverage. Same Day Turn Around for Your Self Storage Construction Quote. Self Storage Construction Crews. Certified and trained crews are available to ensure your success.